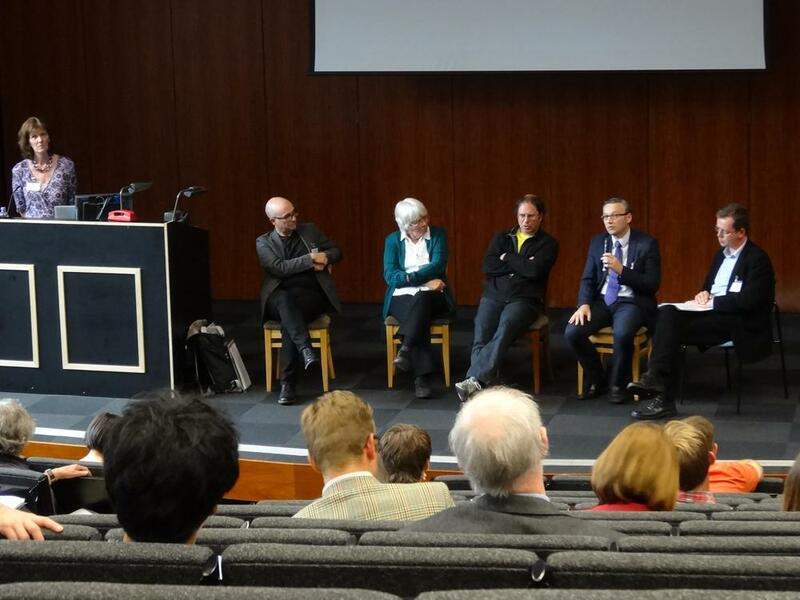 The afternoon panel of the Place-keeping conference held in June 2014 was chaired by Professor Lynn Crowe. It was a chance for representatives from the public sector, private sector, 3rd sector and community sector to present their views on who owns, who manages and who cares our green and open spaces - and for some heated debate!!! Deryck Irving, greenspace scotland represented the third sector (3S); Darren Share, Birmingham City Council represented the public sector (PS); Peter Neal (PN), Peter Neal Consulting Ltd was the private sector (PR); and a double-whammy of Jenny Coleman, Incredible Edible Todmorden and Dave Morris, National Federation of Parks and Green Spaces represented the community sector (CS). Here is a summary of the discussion. Q: who is best placed to manage our green and open spaces: who should own, manage and care? PS: it can’t just be the local authorities (LAs). Communities need to be involved and LAs can act as the conduit pulling everyone together as one cog in a larger system. CS: the LA model is best and has been for 150 years. PR: no one size fits all. Lots of the public park movement was through private and public investment. It needs to be collaborative still. Multi-partner and private sector comes in many different flavours. 3S: we can’t have a 500 piece jigsaw puzzle with 500 different pictures – working collaboratively is key. Strategic-scale thinking needs to be translated into local individual site level action and aspirations to become added value for green space and users. Q: is there a requirement for fair and equitable treatment for all? PR: yes, you need this with the LA acting as an enabling body. In the USA, green space funding is made up of 1/3 public funding, 1/3 income generation and 1/3 levering in sponsorship, donations and legacies etc. The great recent parks – Millennium Park in Chicago, the High Line in New York and Kings Cross in London, all have private sector as significant contributor/ partner. CS: each community should have the freedom to make their own priorities – e.g. a memorial rose garden or a running track – it all depends on the group and the space. The LA needs to hold the balance but also needs to be listening to what the community wants. From the floor: Should the local authority be the board, the enabler, the conflict resolver? Is it better to set up an organisation to manage the lease as an asset, not a liability, and to be entrepreneurial without the constraints of local authority? Q: parks are essentially a local problem. Getting people involved is a political process. Cities like Birmingham have local devolution and funding for wards. Why not Sheffield? 3S: councillors are as varied as communities. Devolution works really well and better where neighbourhoods are locally recognised as geographic entities that make sense. CS: it’s all political ultimately. One big advantage is that Todmorden is essentially a group of 12-15,000 people and you know you’re a part of something. It wouldn’t have worked citywide in Sheffield. Small and defined communities are the way to go. CS: politics is about our society and how it should be run. Friends Groups are an inspirational movement emerging within the last 15 years demanding their entitlement of green space to be run properly. PS: I have worked for parks to be apolitical because of the inevitable flips of changing political sides. We need to work harder to make engineers, water authorities etc. a part of this debate. PR: politicians need to be pro-active not reactive. In the 19th century, parks people tried to outdo each other. We should look for inspiration to the mayors in New York and Chicago who have taken park building as a political vehicle. These are the views of the people on the place-keeping conference panel. Who do you think should own, manage and care for our green and open spaces? We would like to hear your opinions or response to the members of the panel.